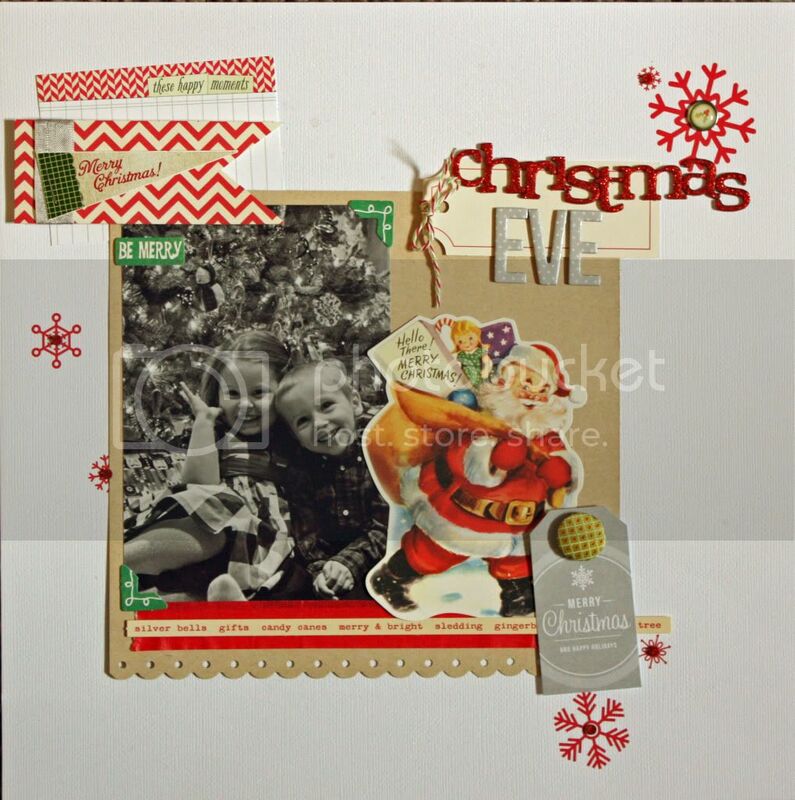 Just a quick layout share today. I apologize for the colors being a little off, there's only about 30 minutes of good light in the house during the day to take pictures, and this morning I slept through it. This is Zoe and her cousin Noah on Christmas eve by the tree. Christmas eve was actually a really rough night for all of us, both kids were sick, but at least I got this cute photo before the commotion. Absolutely precious layout! Love the vintage look of Santa!